In 2013, Selamatkan Yaki collaborated with the Balai Konservasi Sumber Daya Alam (BKSDA: government agency for natural resource conservation) to facilitate a multi-stakeholder gathering in Manado. 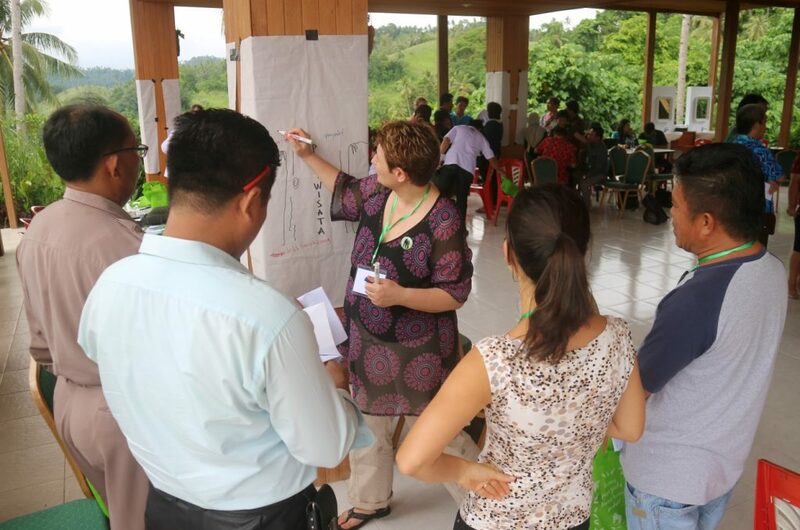 The workshop focused on developing conservation approaches to improve the protected area management of Tangkoko Nature Reserve and strengthen the protection of Macaca nigra. Insight was gained into the roles, responsibilities and capacity of all representative parties. Participants identified the species’ most important threats in addition to proposing strategies to mitigate these threats. 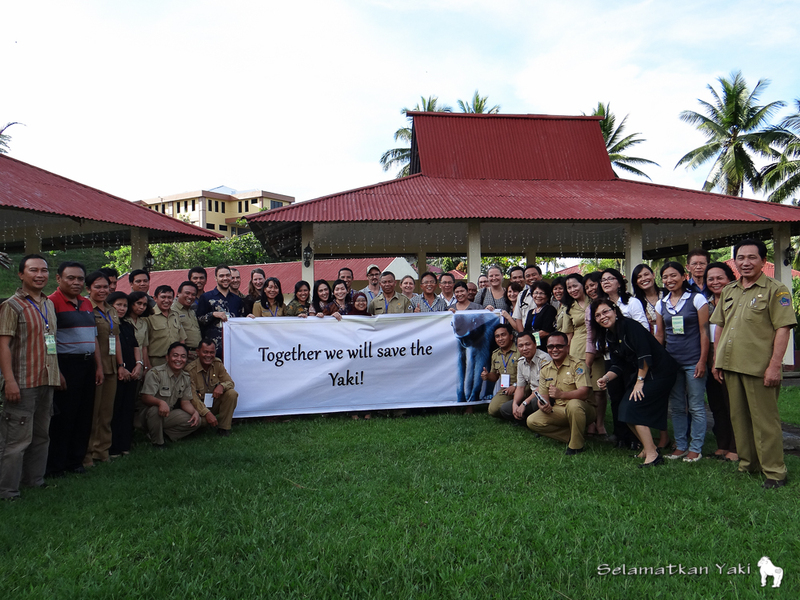 Participants of the 2013 workshop proudly holding the Yaki banner during this crucial moment for the Sulawesi crested black macaque conservation efforts. Building on the outcomes of this workshop and a follow-up evaluation workshop in 2016 to assess progress and priorities, our team finalised the M. nigra Species Action Plan (SAP), an evidence-based guiding strategy for the conservation of the species. In addition to a detailed framework for action, the document provides background information about the species, a summary of past and current conservation activities and an overview of threats considered key in the decline of the species. Through close coordination by a Technical Committee, the SAP has been institutionalised by the Biodiversity Directorate of the Indonesian Ministry of Forestry and Environment, in what is known as a SRAK: Strategi Rencana Aksi Konservasi – with the aim to increase populations of key protected species in Indonesia. As a flagship species, conservation of the Critically Endangered M. nigra is important not just for the target species but also with hope to make a significant contribution to biodiversity conservation in an area of high endemism (species found nowhere else). Sulawesi is known for its remarkable species biodiversity, with the highest level of endemism within Indonesia. 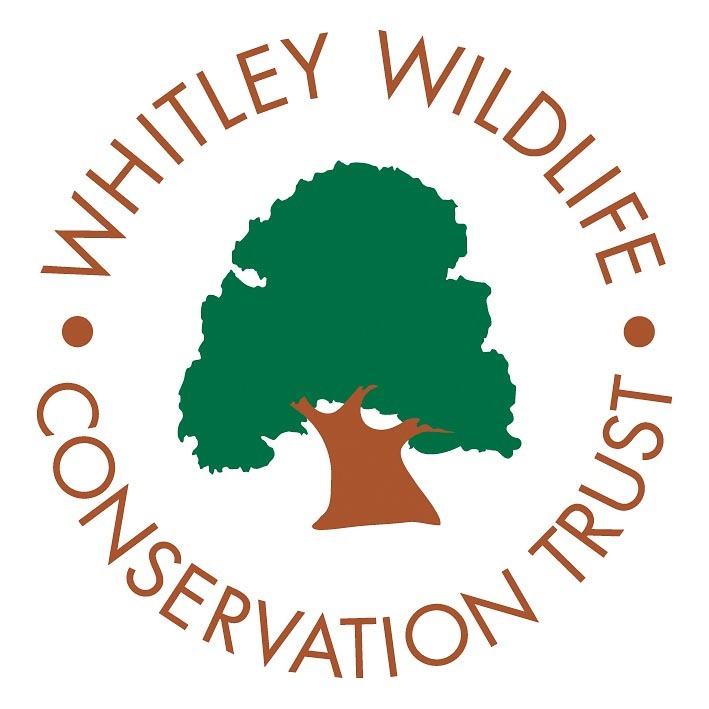 It is hoped that the SAP will encourage collaboration and facilitate evidence-based approaches to inform future conservation activities for M. nigra, whilst contributing to the conservation of other wildlife in this unique area. See here for the Species Action Plan Evaluation Workshop Report 2016, and here for the final version of the Macaca nigra Species Action Plan.